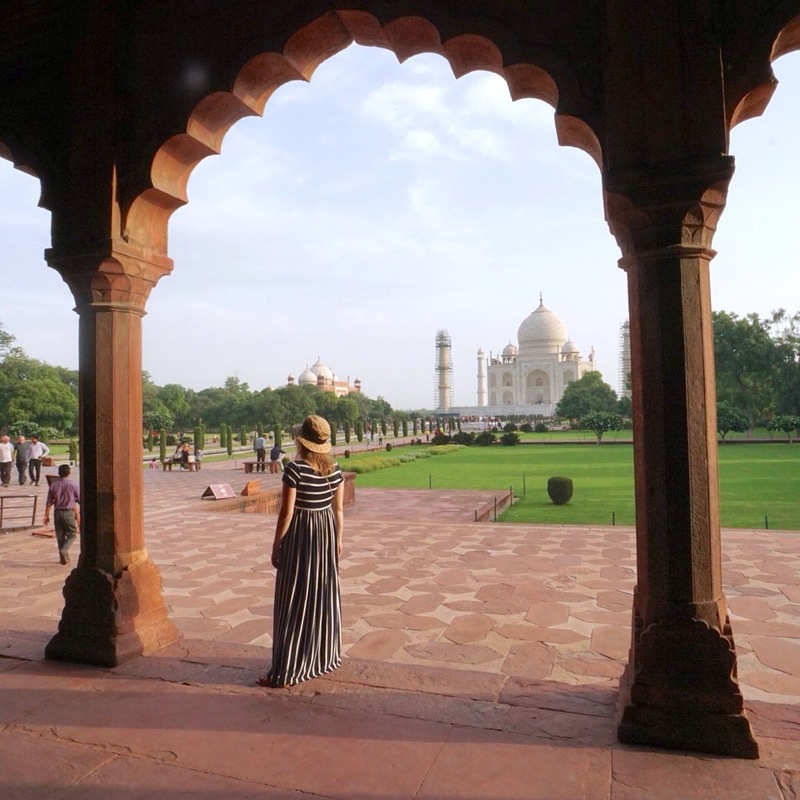 Taj Mahal – The Bookshelf of Emily J. 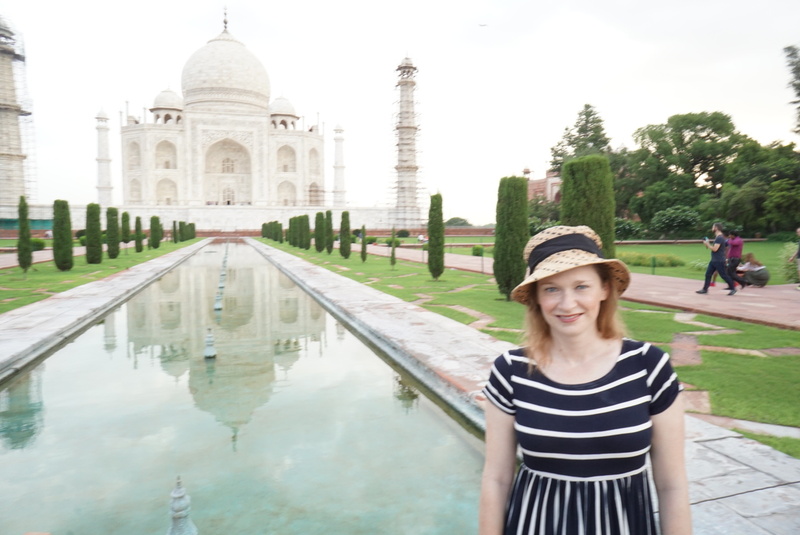 On the last day of our trip, we made it to the Taj Mahal. It was breathtaking, and we arrived at 6 a.m. in order to see the gorgeous stone of the building be lighted by the rising sun. Sunrise and sunset are the best times to see the building, as it changes colors and is illuminated by the light. The building itself it surrounded by a fort, many of which dot the countrysides of India. It is made of red stone and has gardens all around it. The Taj Mahal is a mausoleum. I did not know that until I arrived. It houses the body of the favorite wife of one of the past rulers. She died in childbirth so he built the Taj Mahal as a tribute to her. The building is inlaid with precious stones and took more than a year to build with thousands of people laboring. I’ve made it home now. But I’ll always be glad that amid the research I conducted and the wonderful people I met that I got to see this amazing structure. It was my pleasure! What a great place. Thanks for sharing these adventures!!! Great pictures and what an amazing way to end an amazing journey. So Emily, I think I missed the original post, but it seems to be an education related trip…or not… so, what sort of research are you doing? It was definitely an adventure. Perhaps Breeanne and I should write some creative nonfiction about it! I don’t think I was every clear about the purpose of the trip. We went for research. I interviewed U.S. women in technical communication for my dissertation. Many of them said they had colleagues in India doing the same work. So we went to interview them and see what similarities and differences there are in technical communication in the United States and India. It was surprising to me how similar it is, and I think we have a lot of great material for publishing some articles on technical communication and the global south. Thanks for asking. Taj Mahal is really very beautiful. It shows the internal love of King Saha Jahan for his wife Mumtaz. I am glad that you visited and enjoyed your post. I didn’t know that about the Taj Mahal, either. So interesting. Ha! I can’t wait to see your mausoleum. Have you read Beneath a Marble Sky by John Shors? 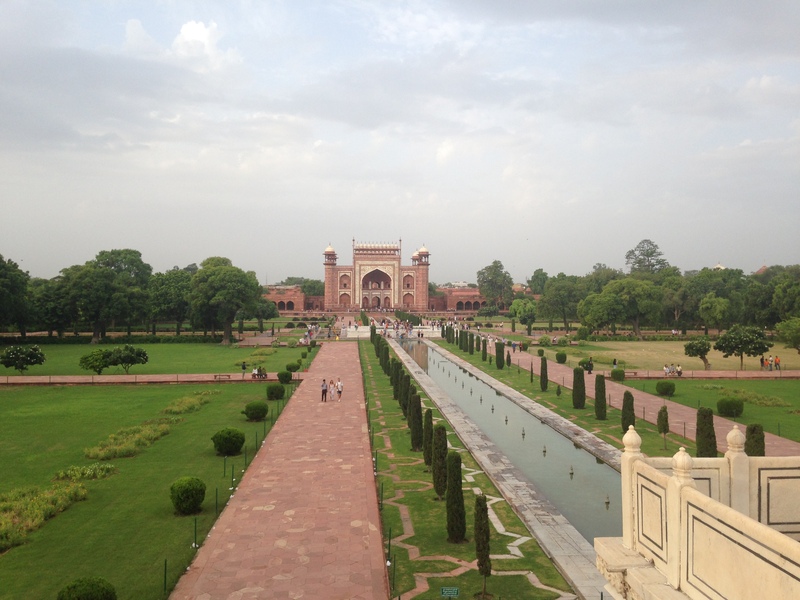 It’s a historical novel about the Taj Mahal that you may enjoy. Ooh! I need to read it. Thanks for telling me about it. I’m curious about your research in India. Are you going to share more about it on your blog? I think I will share more. Basically, it is the same research I conducted for my dissertation in the U.S., but so many women there told me they had colleagues in India that I should interview. So, I did! Oh, and the dress is from Shabby Apple. Love that store! That’s right! He was imprisoned by his son. I forgot about that. But wow! That would’ve been cool to have a black one across the river. I love your photo (and your dress too…) I am also interesting by your research… Have a nice time far away ! You’re in India! That’s awesome. I hope you have a great time here. It looks like it wasn’t very crowded when you visited Taj Mahal. You’re lucky. I just got home! It was amazing. And you’re right, the Taj Mahal was not very crowded. It was nice. Pretty good! 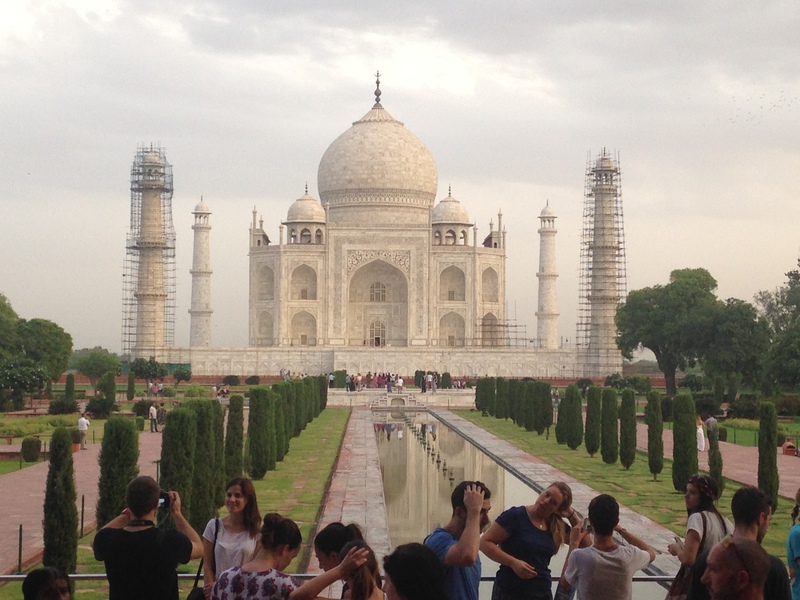 Great to seethe Taj Mahal here. If you visit India again, do not miss Rishikesh – the yoga capital of the world. I’m writing a blog on it and will post in a few days – you’d love it! Sounds awesome. Thanks for sharing with me! I agree it’s always great to visit new places and get a taste of different cultures.